For the longest time I have felt a true 3D Sonic experience is possible. It is a concept that has been incredibly elusive and challenging to solve due to its monumental design implications and variables. However, the ingredients for an ideal formula have been there all along in the classics. They only need the right perspective and application. But even when 3D Sonic gameplay is attempted, I always feel like the rest gets overlooked. What Sonic also had in the classics was outstanding themes and aesthetics that I have not seen truly captured since the 90s (except for say, Sonic Mania), especially not in any 3D games. I wanted to not only achieve a long dreamed of formula for 3D Sonic gameplay, but to go the extra mile and bring with it the kind of style and feel that Sonic had in his best 90s incarnations. But my aim was not to merely mimic and regurgitate what existed, but to really reflect and expand on everything in a way that makes sense, to intelligently extrapolate. Nearly everything you see, hear, and play in this demo was made from scratch. The only things that aren't, are placeholders (goal images, a few sound effects and jingles) and the OVA sound effects. The engine and its program, the art, models and animation, the music, and the sound effects are all freshly created. Yes, even the sounds from the Genesis games were recreated to make them more flexible (ie there are multiple variations of the ring scatter and bust sounds). The new sound effects are FM based and other forms of synthesis practiced in the 80s and 90s. The vision I've had for Sonic's gameplay was made possible by a skilled programmer, Murasaki, who I've been working with for a while now to flesh out an ideal engine for 3D Sonic physics and mechanics. I believe that Sonic should have movement and abilities that compliment the generation and preservation of momentum that reward skillful play. More than this, Sonic should have more abilities than just verbatim translations of his 2D moves. When Mario was translated to 3D, he was given an extensive set of moves that gave the player many creative options to tackle a 3D environment, and Sonic has never really been given this same treatment. I hope to achieve what myself and many others have wanted from a 3D Sonic game for a long time with Sonic Utopia. In this thread, I'll be talking about some of the concepts I have for this game more in depth, complimented by various media, as well as posting updates on the game's progression. Smasklarpan, Bearzor, lemonade and 17 others like this. Excellent work on this project, you guys. I love the progress this has on all points, and I really can't wait for more. Smasklarpan and Ryan Uzumaki like this. This is gonna be one hell of a game. Smasklarpan, Ryan Uzumaki, JonaJuice and 2 others like this. Sslaxx, InstantSonic and Misinko like this. Yea I'm looking forward for the first actual stage to this game. It has controls I like, feels similar to SA2. My question is have you guys tried Unity 2017 recently and do you guys plan for Multiplayer implementation? JonaJuice and Dani0215 like this. We're currently using Unity 2017 (rip my pro interface), but we're not in a position yet to fully decide on multiplayer. There are many more things to finish, and many other to plan for before we can be certain that it would fit into our schedule. JonaJuice and InstantSonic like this. Will Green Hill Zone be in the final version? It will not. The demo's level has been scrapped and there will be a new first stage. I suppose a more accurate take on that question would be "Will Green Hill Zone's tropes be in the final version"? Yes, the first stage will be that trope, but I think it will be a welcome surprise. JonaJuice and Sslaxx like this. Hi there, guys! I'd like to start by congratulating you on this amazing project. It's the best iteration of 3D Sonic gameplay I've ever seen. I'd like to address the monitors. 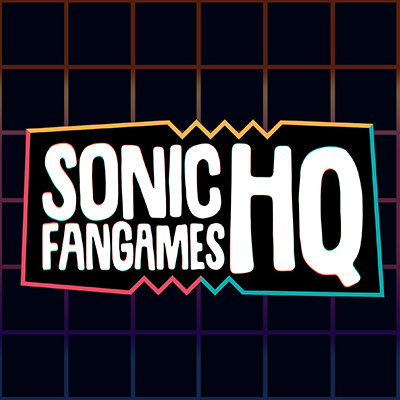 I love the Sonic 1/2 aesthetic but I'm not sure if they translate well into 3D gameplay, considering that this design only allows the icon screen to face one direction, making it difficult for the player to be certain which icon it is if he's approaching from different direction (and that'd be very important if you guys plan on implementing Eggman monitors). I think that's the reason Sonic Team moved to round transparent capsules on Sonic Adventure. Maybe a redesign of your monitors would be benefitial, giving it multiple screens (perhaps making it a triangular prism like the Sonic Heroes item box and thereby keeping a shape similar to a CRT monitor). Also, are you thinking of updating your character model? The OVA-inspired design is lovely but it'd probably benefit from a higher poly model, especially if you plan on giving it an animated mouth (I think I read something about that on Sonic Retro). Can't wait to see how Tails and Knuckles (and Eggman)'s models will look like. I've already well considered the issue of monitors. I really don't want to change that design despite the visibility issue. In most cases, I'll be able to place the monitors in ways their screens will be easily visible when approached. Sonic's model will be updated. I want to keep it relatively low poly like it is now, but the face is what needs updating the most, Sonic is currently not capable of facial animation. The mouth I'll leave as an exception, making a 3d animation capable mouth for Sonic is a huge pain and tends to look awkward. For that, it can rely on texture swaps. Aside from that, I'm planning on more animations with greater expressiveness for Sonic overall. The midair roll is not intended to be like the drop dash. It is a way to give the player full freedom when to roll and when not to, it applies on both ground and in the air. I wanted a midair spindash as well, but this could easily be much too game breaking and complicate the controls. Sonic will have new mechanics. Water running, a form of drifting, and more details such as added nuance to the jump dash and homing attack. I won't get into all of it yet. No intention for hand drawn cinematics; that's better left to jaz's project and he's already got his hands full as it is. Given this is a 3d game I'd like to take a crack at 3d animated scenes which is more suited to it. JonaJuice, Sonikko and omegalucas like this. I know this has probably been requested before, but I think in the early demo Sonic looks way too small compared to the map and the badniks, if possible could you incrase it's size a bit? Yes, Sonic won't be as comparatively small as he was in the first demo. Mura's improvements to control and camera help with that. If you get to implement Tails and Knuckles, are there any plans for a Sonic and Tails mode, like the classics? Adding characters is a much loftier notion than it might seem. Making character models, rigs and animations are the most demanding assets to create aside from the levels themselves, but besides that, the game has to be worked around them and their unique traits and abilities. This can multiply the planning and testing needed for level design if not outright stifle a lot of what can be done with it. This is particularly because Tails and Knuckles have abilities that can easily break the game in a 3d space. 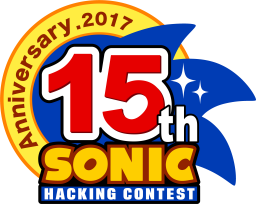 It is difficult enough just designing this around Sonic and the core mechanics, and it is best that focus goes into getting this down for a complete solid game. Much like how Sonic began, new characters and abilities are better introduced after the fundamentals are figured out. Knuckles won't be around for this game, but Tails will be for the story. Given he will have a model and rig, making him playable will later be experimented with, but I'm not promising anything. JonaJuice, Sslaxx and omegalucas like this. Hey Lange, I tried asking you this in a YouTube comment once but I'm not sure whether it posted: bit of a trivial aspect of the game, but will there be any sort of speedometer? With this game's emphasis on speed as a reward, I'd love to have some indication of how fast I'm actually going at high speeds, particularly in areas like the path down to the huge ramp outside the exit of the Labyrinth Zone. Plus, it'd be pretty easy to code. Maybe make it optional. 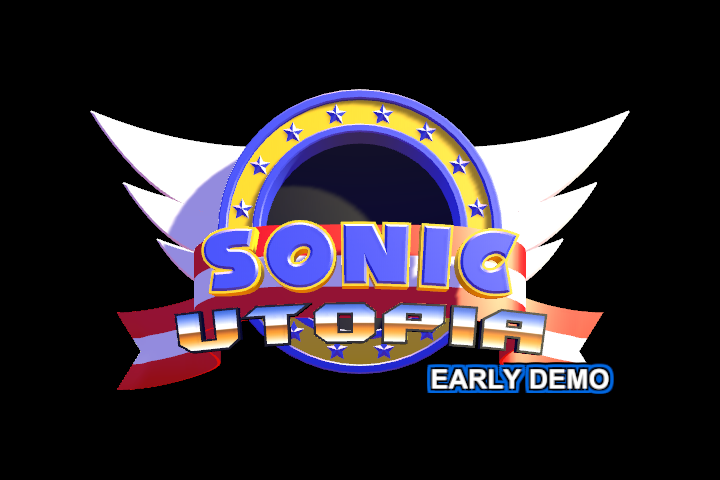 The Utopia demo is already my favourite 3D Sonic game either way. Best of luck to you and Mura, and happy birthday apparently! I want to avoid any extraneous HUD elements. Part of Sonic's game design is communicating elements of the world naturally. This is very good for immersion. For example, the classics don't give you indicator arrows or reticles or warning texts or anything like that. It communicates things with the in-world elements. Harmful fireballs flash, debris from the ceiling warns of falling spikes, an earthquake indicates platforms rising from the ground, etc. In the context of Utopia, an example would be a badnik using a laser sight to target Sonic indicating he's about to be shot and where it's coming from, instead of using a HUD showing arrows or warning icons. A speedometer, granted while part of the static HUD and not the world, breaks that immersion some. Sonic's speed no longer feels as natural and the mysteries of his movement and limits are laid bare. I would much rather use animations and effects to describe his speed and outline its tiers. Sonic's running movement becomes increasingly intense, the dust becomes more violent, a sonic boom shockwave when tremendous, trails of fire from the friction of a high speed brake. What if there's a level of speed beyond even that? It keeps the player invested in the game's world and plays with the imagination. Let Sonic, the world and its elements communicate as much as possible to the player naturally, and keep the HUD as minimal as possible. JonaJuice, Comfortably Dumb and omegalucas like this. Are you still thinking on getting rid of the lives system?